ADDITIONAL NOTES/REFERENCES: Most of the Pogonomyrmex habitat in Oregon and Washington can be described as shrub-steppe land dominated by 'Big Sagebrush' (Artemisia tridentata) - but we don't often see P.salinus interacting with this ubiquitous plant. Only very occasionally, do we see a foraging worker transporting a leaf, or seed of A. tridentata (the leaves are usually three-lobed, but double and single-lobed leaves are not uncommon). 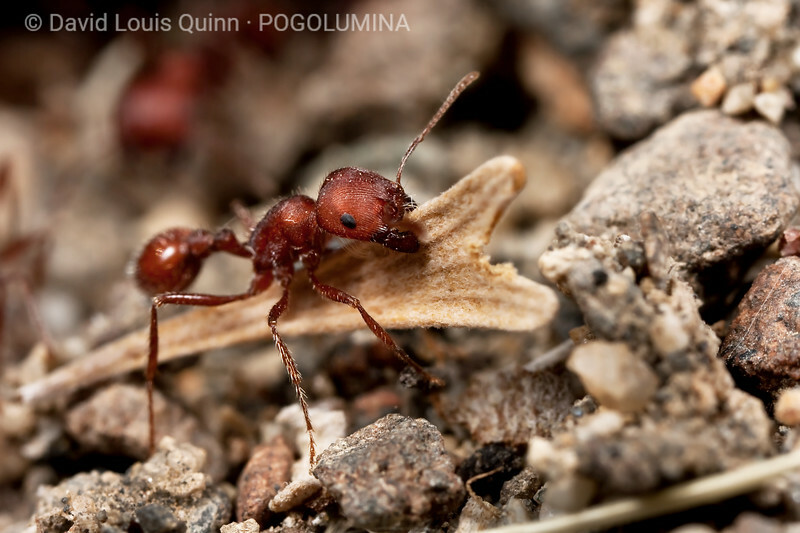 In keeping with our observations, a study in central Oregon showed A. tridentata parts to be collected infrequently by foraging Pogonomyrmex salinus workers.